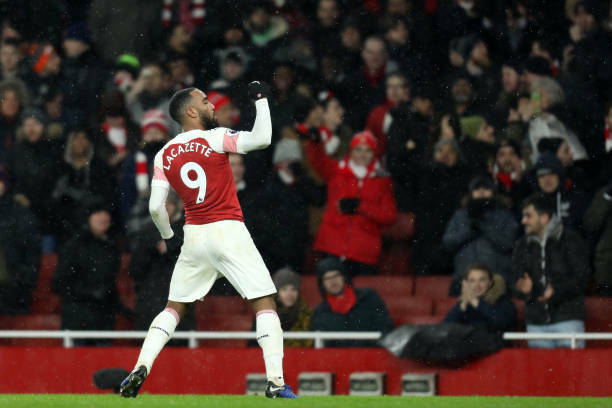 Arsenal has officially confirmed that Alexandre Lacazette will be available for selection on Thursday when they face French side Rennes. Alexandre Lacazette was not involved in Arsenal’s UEFA Europa League matches against BATE Borisov ( Home) and Rennes (Away) because he was serving the sentence for the red card ( 3 game ban ) that he received in Belarus but UEFA has just overruled this, and the Frenchman will now take part in Thursday’s match against French side Rennes. This is a massive boost for the gunners because they are two goals down thanks to Rennes 3-1 win in France so Arsenal boss Unai Emery will be hoping that all his attackers are available for this match because they would like to win the UEFA Europa this season. UEFA had earlier confirmed that Alexandre Lacazette would miss both of the matches against Rennes but the Uefa Control, Ethics and Disciplinary Body has decided that the player’s sentence be reduced to two matches, and he has already missed the BATE Borisov and Rennes matches so he is available for the match on Thursday. Arsenal will now come into this match with more confidence well knowing that their two top scorers will probably be in the starting eleven that plays in this match because Unai Emery will be hoping that his squad starts attacking as soon as the referee blows the whistle for the game to start. The gunners will however be without Sokratis Papastathopoulos who received a red card in Arsenal’s 3-1 loss to Rennes in France.